Those who attend the services I lead know I incorporate a lot of poetry into worship. On the High Holidays I punctuate each service with poems, and each Friday evening, between Kabbalat Shabbat and Ma’ariv, I read a poem–without commentary– as a kavannah (intention) for that Shabbat. The poem is drawn from the vast world of poetry, and chosen to reflect the season, or current events or simply a thought that arises that week. transition that included much introspection, I came across a poem by Philip Levine. I feels almost too personal to share what was going on for me at that time (other than saying a general crossroads of young adulthood) or to share that particular poem. 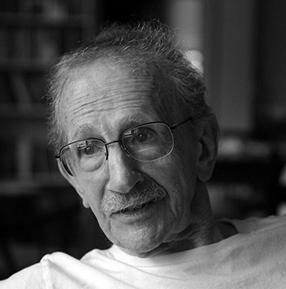 But Philip Levine touched me deeply. Levine died earlier this week. Zichrono l’veracha–May his memory be for a blessing. This poem came across my inbox this week from one of the poetry services to which I subscribe (poets.org). A choice selection: yesterday on the President’s Day holiday we took a ride out to Ocean Shores. With this beautiful weather and clear skies we were not only able to take in the ocean, but also the Olympics and Mount Rainier. Truly magnificent.